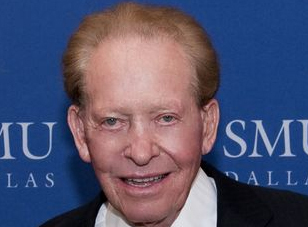 Dallas billionaire Harold Simmons, who passed away on Saturday, Dec. 28, 2013. Harold Simmons, a Dallas businessman and billionaire, philanthropist and Republican mega-donor, died Saturday at Baylor University Medical Center at Dallas. He was 82. His death was first reported by The Dallas Morning News. Simmons’ wife, Annette, told the paper he had been “very sick for the last two weeks” and said the family had celebrated Christmas at the hospital. Simmons was a major donor to Republican candidates and causes. He is the second important GOP financier to die this year; in April, Houston homebuilder Bob Perry passed away at age 80. His support of conservative causes and candidates is decades deep, though he sprinkled in donations to Democrats from time to time. The Center for Public Integrity ranked him as the second-biggest overall political donor during the 2011-12 election cycle, giving $31 million by that organization’s count. That total included $23.5 million to American Crossroads, a PAC started by Republican consultant Karl Rove and others. Since 2000, he contributed at least $5.9 million to state candidates, according to reports filed at the Texas Ethics Commission. That doesn’t include contributions for most of the second half of this year; candidates will report those next month. He bet big on Attorney General Greg Abbott, who is running for governor, giving $150,000 in July. And he contributed $50,000 to Agriculture Commissioner Todd Staples, who is running for lieutenant governor. The Harold Simmons Foundation was a major donor to The Texas Tribune, contributing $50,000 over the last four years. Simmons was born in May 1931 in the tiny northeast Texas town of Golden, a small town in northeast Texas. He worked as a bank examiner, then bought a pharmacy across the street from Southern Methodist University in Dallas, expanded that into 100 stores and sold it all to Eckerd Corp. That launched his career as a highly successful and often controversial investor. One of his companies, Waste Control Specialists, has been a frequent subject of legislative and state agency debates; it operates a low-level radioactive waste facility in Andrews, a West Texas town near the New Mexico border. Attorney General Greg Abbott: "Harold Simmons lived the American Dream. His path began with the purchase of a small drug store, and through hard work and the free enterprise system, he was able to turn that investment into one of the greatest American success stories of all time. The Simmons family shared his success with the state he dearly loved, giving generously to make advancements in healthcare and to improve higher education. The legacy of Harold Simmons will live on to benefit millions of Texans who never had the opportunity to meet the legendary Texan. Cecilia and I send our thoughts and prayers to Harold’s family, and to all those mourning his loss." Gov. Rick Perry: "Harold Simmons was a true Texas giant, rising from humble beginnings and seizing the limitless opportunity for success we so deeply cherish in our great state. His legacy of hard work and giving, particularly to his beloved University of Texas, will live on for generations. Anita and I send our thoughts and prayers to the Simmons family." Former President George W. Bush: "Laura and I send our sincere condolences to Annette and the Simmons family. Dallas has lost a generous benefactor to many worthy causes. And we, like many others, have lost a friend in Harold." Agriculture Commissioner Todd Staples: "Harold Simmons had an enormous impact on Texas and our country. From growing up in rural East Texas to becoming one of our nation’s most successful businessmen, Harold demonstrated that our free enterprise system creates unlimited opportunities for anyone willing to work hard and obtain a good education. My sympathy to the Simmons’ family." Lt. Gov. David Dewhurst: "On Saturday Texas lost one of its sons who became a true giant. From humble roots and borrowing money to buy his first drugstore, Harold Simmons went on to become one of the leading businessmen in Texas and the country, as well as one of the most philanthropic people in America. Harold Simmons loved his wife Annette, his family, and his beloved America, and he fought to protect the values and principles that have made America great. Like many, I considered Harold Simmons a friend who wanted a level playing field where everyone had the chance to live their own American Dream." U.S. Rep. Joe Barton: "Harold Simmons was a self-made Texas giant, but you would never know it. He was one of the smartest, most influential businessmen in the world, yet one of the nicest, most down to Earth people I ever met. He was generous in his charitable giving and dedicated to making the world a better place. Harold was also a champion for free markets and personal freedom. He was passionate in his beliefs and was a major factor in the Republican resurgence in the State of Texas. I have always been grateful for his personal and professional support of my efforts. He will be missed, but his legacy will live on. I send my thoughts and prayers to the Simmons family."